The 2014 season is already underway and excitement is around every corner. Upsets have already presented themselves and key matchups have been the marquee of the early weeks. Giants have fallen and scandal has risen. It is going to be an exciting fall and I am more than excited to get going. I am going to be reporting on both the NFL and college football, focusing mostly on Washington and the University of Maryland, but I have plenty of love for the rest of the leagues. 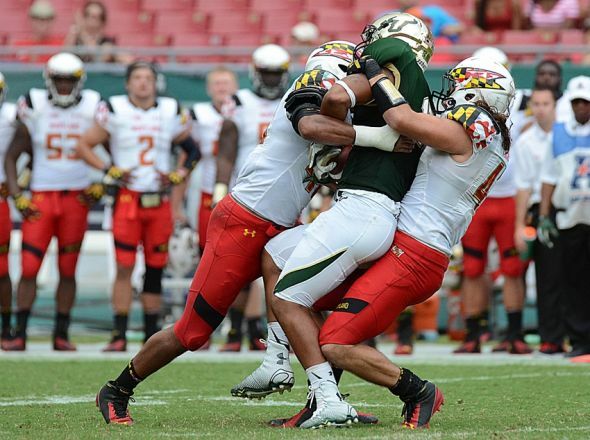 For the Maryland Terrapins, the start of the B1G career has begun. While other olympic sports are also engaging in their campaigns in the new conference, the football team has started its slate against an FCS school (JMU) and AAC opponent South Florida. The first game was a bit of a blowout, which is to be expected against a lower conference school. The defense was operating on all cylinders, but the offense still had some work to do. Senior QB CJ Brown was not a accurate as his previous performances have shown. He overthrew his receivers on nearly half of his passes, but he found a way to complete a few necessary and important connections. The running game also looked solid, but competition against an FBS opponent was needed to truly get a sense of the total offense. The second game was another story. Although it turned out to be another victory, the offense was again rather shaky. When teams turn the ball over, they reduce their chances of winning. One turnover is not impossible to overcome, but each successive one makes it significantly more difficult. Maryland had 6 over the course of the game, including a combination of fumbles and interceptions. Accuracy continues to be a concern for Brown, but the running backs also need to be more prepared for ball control. As for the defense, they produced another impressive showing. The line held South Florida in check for most of the game and reduce the bulk of their offense to relatively short runs for their talented runningback. On the slate for this week is West Virginia in a rivalry game from College Park. In the NFL, Washington has proven nothing through their first entry into the regular season, other than a name change to the Washington Football Club would match their decent soccer score of 6 points against a formerly 2-14 team from 2013. The preseason had left so much to question, with RGIII having a modest and forgetful showing for the now healthy third-year quarterback. The Texans had bombed through the majority of the 2013 season. There was hope for them that they would be able to put the mediocrity of Schaub’s unusual struggles behind them and boast the powerful defense they were know to possess. Against Washington, they did just that in Week 1. 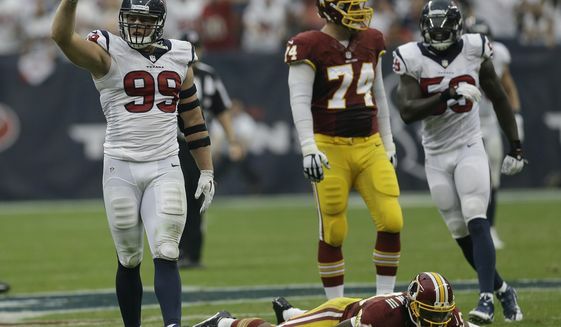 JJ Watt and Brooks Reed lived in the Washington backfield, giving RGIII no time to make decision and forcing him to dump the ball off before many of the offensive plays could develop. While he avoided mistakes (except for his costly third quarter fumble), he was unable to do anything spectacular and seemed way too cautious to use his legs to make plays. Morris and Helu continued to represent a strong Washington running game but both failed to put up any points at the end of a couple of solid runs and drives. Garcon, Jackson, and Paul all had respectable numbers (save for Paul’s extremely costly fumble after solid yards after a reception), but the loss of Reed took a more dynamic receiver out of the lineup. The imbalanced offense was unfortunately matched by the struggling special teams that have received a poor reputation amongst the rest of the league. Extra points are supposed to be automatic, but Kai Forbath was blocked following Young’s 1-yard rushing touchdown by JJ Watt getting his hand up in the middle of the defense. The bad times continued when rookie Tress Way’s punt was blocked and returned by rookie Alfred Blue, accounting for one of Houston’s two scores. The defense was certainly a much brighter highlight for the team. Fitzpatrick was able to score a huge 76-yard touchdown to Hopkins, but he was kept in check for most of the rest of the game. Andre Johnson and Arian Foster can always be expected to pick up significant yardage but were also held scoreless. Field position was the name of the game for most of the first three quarters, and Washington was winning the battle for the most part. If the offense can catch up to the play of the defense, the team may have a chance to compete in the NFC East. Next up, Washington takes on Jacksonville at home at FedEx Field. Johnny who?? Texas A&M picked up where they left off with their high-scoring offense against a highly ranked South Carolina team. 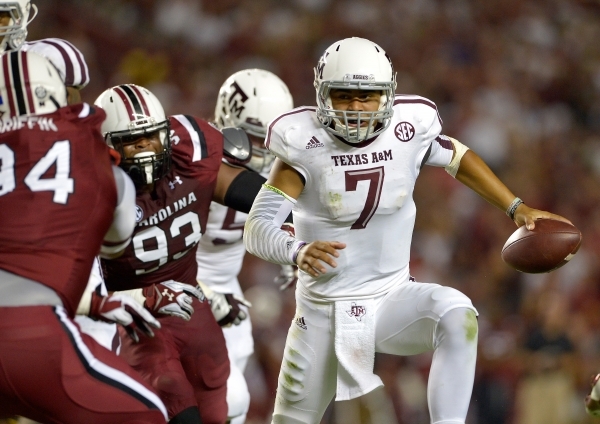 Hill surpassed Manziel’s highest yardage college game in his first start. Did I mention this was on the road? Oh, and they won in Week 2 with a score of 73-3. They may have lost the game, but Navy put up a fight that caught a lot of attention. Winning 7-6 at the half, the Buckeyes finally opened up the offense and sent the Midshipmen packing. USC is officially back, holding their Week 1 opponent scoreless and snagging a quality win over conference rival Stanford in the closing moments of the game. LSU may have started their matchup with Wisconsin down by 17, but the Tigers were more than ready to mount an impressive comeback. Baylor continues to outscore opponents by impressively high numbers. 45-0 versus SMU and 70-6 versus Northwestern State. Oregon took advantage of an early-season marquee matchup with Michigan State to prove they are ready for a title run. 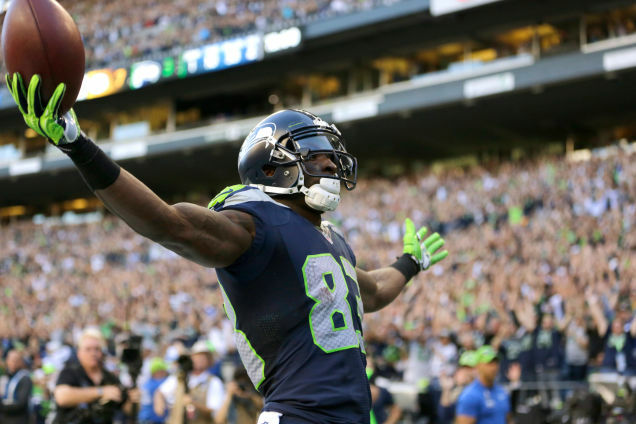 Super Bowl contenders faired well in Week 1 and proved why they are to be feared again. The Seahawks embarrassed the Packers in a complete trashing from Seattle, while the Broncos made the Colts look completely overmatched in the first half (forcing Indy to attempt a comeback in the second half). Megatron may be the strongest and most talented player in the NFL, particularly with 146-yard and 2 touchdown performance. The Florida air was not the only thing on fire on Sunday. The Dolphins surprised the favored Patriots with a rushing attack that reenergized the career for Moreno. South Carolina would like to forget that it played in Week 1, as they are all but eliminated from contention for a national title. Originally ranked 9th, they traded places with Texas A&M and struggled to put away East Carolina with any authority. Michigan would like to forget that they played in Week 2. 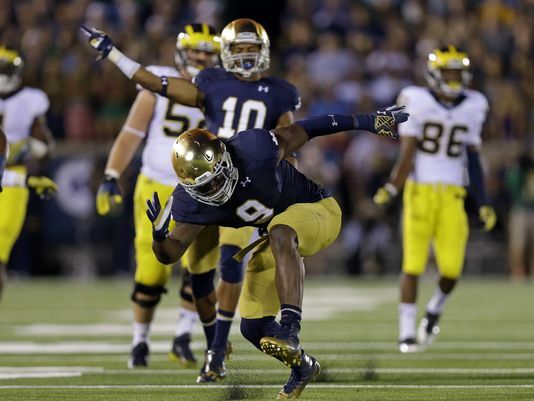 Their series with Notre Dame is coming to an end and they dropped their final matchup 31-0. The rest of the B1G could have breathed a sigh of relief except that Michigan State and Ohio State joined Michigan in the loss column. Losing to decent opponents, all three schools have opened up the competition in the conference for anyone to step up to take it all. Washington State would like to figure out how to get their running game going, as Mike Leach’s team has failed to break 22 yards per game. UMass is still trying to figure out why they moved from the FCS to the FBS. Sure, a chance for more national attention is great, but amassing only 1 win per season since their league transition has left them struggling to justify their readiness. 0-2 is not a great start for 2014. FAU is back to where they started last season at 0-2. Teams that start with Florida and include a second part that starts with a vowel do not seem to fair well in recent years. No-no for Romo. While the fantasy-popular QB can put up yardage and points, he also added 3 first half interceptions to his stats on Sunday. Potentially another long season for Cowboys fans. One brother was strong, the other fell far short. Eli struggled all game to connect with his receivers for significant yardage and added a pair of picks to his very poor first 2014 outing. Jacksonville was looking to post the upset of the week with their 17-point lead over the Eagles, and then they collapsed. Failing to score after halftime, they also gave up 34 points and made Foles from looking embarrassing to providing a solid performance with 2 scores and 322 yards. Manziel has been the talk of the preseason and has appeared to be the eventual leader of the Browns, but he was given no snaps in a losing effort to Pittsburgh. Hoyer gave a lackluster performance but never lost his chance to try to finish. 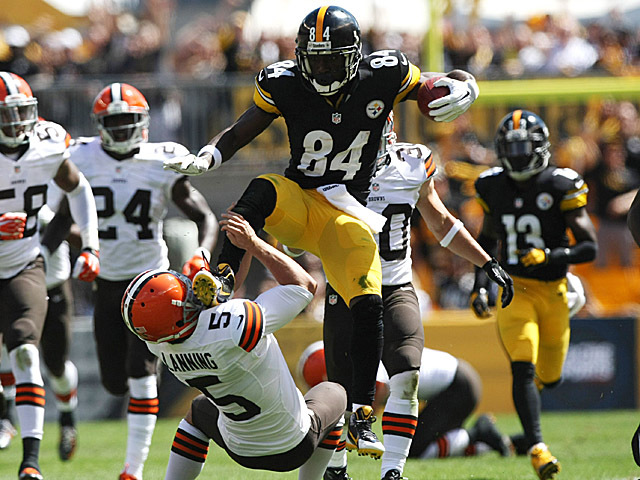 The most significant hit of the week was actually delivered by Antonio Brown to the face of Spencer Lanning while trying to hurdle during a return. Brown is now the meme of the week. The Ravens are the team of controversy as their performance left little to be desired, but Ray Rice’s removal from the roster has left Baltimore fans feeling lost, frustrated, and angry. On that same point, the organization has much to answer to for their level of knowledge of Rice’s incident and Roger Goodell is seriously under fire with the continued controversy over league rules for suspensions and degree of awareness of the severity of incidents. This upcoming weekend boasts a number of solid matchups at both levels of the game, particularly the SEC battle of Georgia vs. South Carolina. 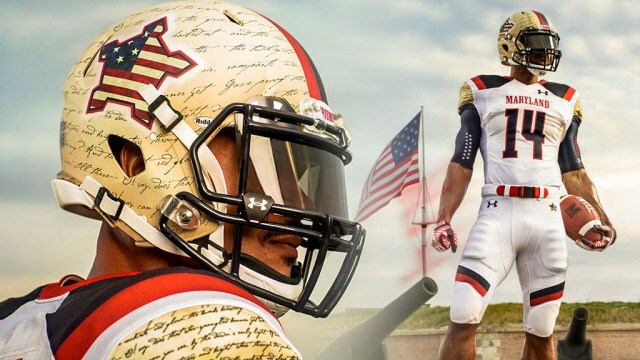 I will be watching to see if Maryland can repeat their success over West Virginia from last season in their commemorative military uniforms. Go Terps! Super Smash Bros: The Smash is Back!